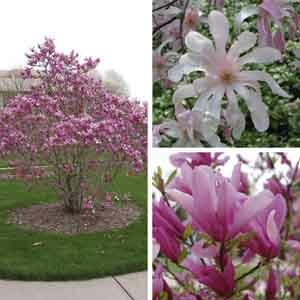 Pink magnolias are available in a range of varieties with different flower forms. Some produce loose, starry blooms; others have large petals and a very formal, upright flower form. Most types are fragrant and all are a refreshing reminder that spring has arrived and warm sunny days are on the way! Flowers appear just before foliage emerges. A wonderful focal point for a mixed planting. Surround with spring bulbs, such as tulips and daffodils to welcome spring on a grand scale. 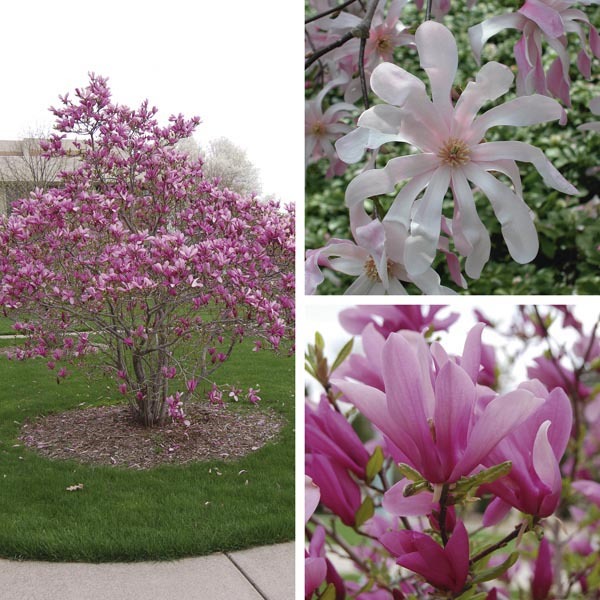 Excellent for planting along fences and walls or as a specimen plant in an open area. When planting, keep the base of the trunk exposed. Best in slightly acidic, fertile but well-drained soil. Keep soil moist, watering freely in dry weather.